Toby's reversible quilted bibs are made of 100% cotton fabric on both sides with a 4 oz polyester batting sandwiched inside. They are then trimmed with a solid coordinating binding for a finished look. 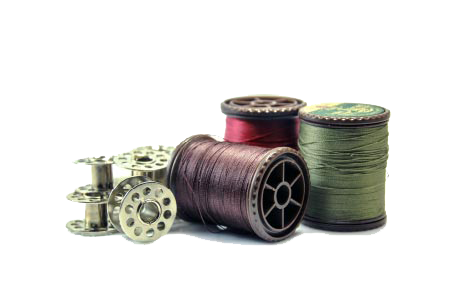 Check out our Fabrics page for some ideas. Toby has a wide selection of fabric and is happy to email fabric swatches not found on the fabrics page. 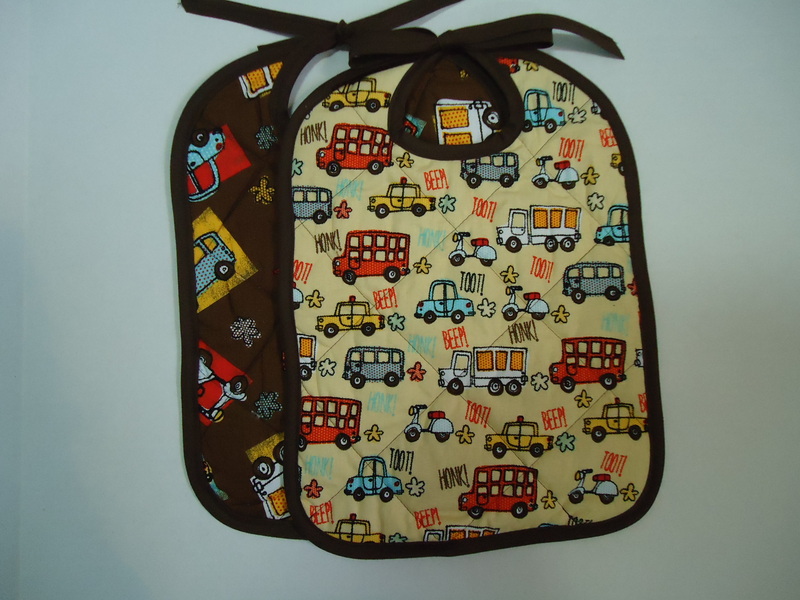 You can never have too many bibs, so consider getting several at one time. 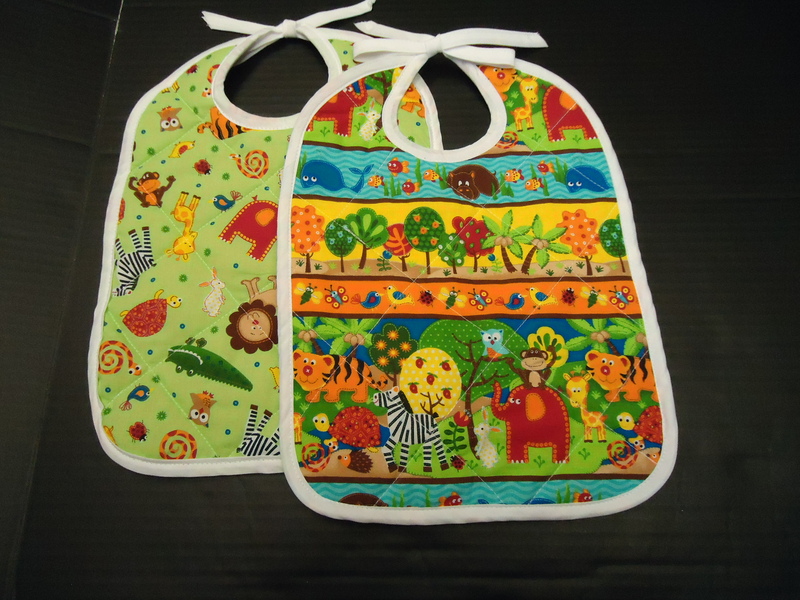 All bibs are machine washable (cold or warm water) and dryable. They require no ironing. Toby is now taking orders for bibs. Please contact her by email or phone to place an order or to make an inquiry. 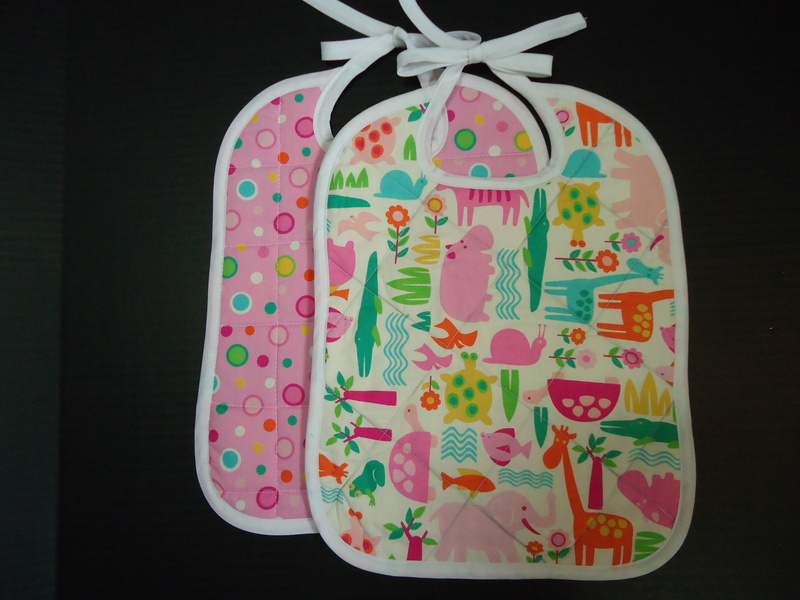 Baby bibs have a tie closure unless otherwise requested. Fabrics can be seasonal, boy/girl traditional, or whatever you would like the pattern to be. 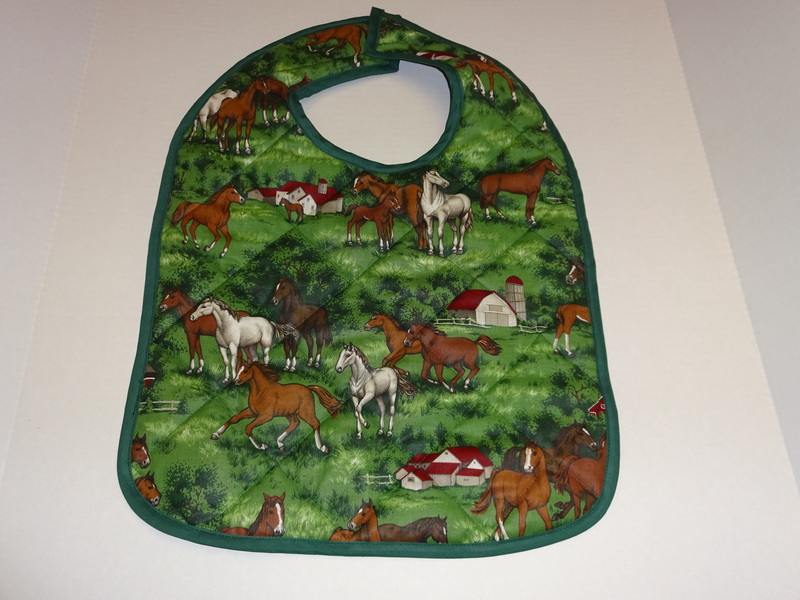 Adult bibs have a Velcro closure unless otherwise requested and may be made with an optional pocket. Solid colors are available, but prints are cheery and can coordinate with the wearer’s hobbies or individual tastes.